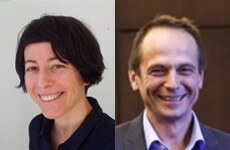 During this webinar, Fabrice and Anna will introduce you to Bruker’s newly launched PotencyMR, a solution specially designed to facilitate potency/purity determination. You will also have an update on the existing tools for absolute concentration determination using an external reference. A full automatic workflow from sample submission to report will be shown which includes the measurement of replicate samples. You will see how challenging samples (formulated material) are also analyzed, in manual mode, and how this manual analysis can be stored for further reuse. 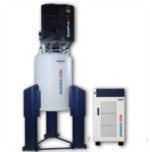 They will describe the NMR hardware that is best suited for Bruker’s qNMR and show how that complements LC methods in a very cost effective way. Example data and practical cases at 300 and 500 MHz will be shown. 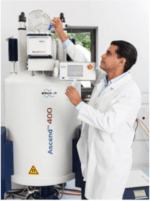 All along the webinar key benefits of PotencyMR, such as ease of use and review, that make the solution accessible to non-NMR experts, will be highlighted, demonstrating that the deployment of qNMR to an open access environment is now a reality. Pharma Market - Bruker UK Limited, Coventry, U.K.
Analytical chemists and laboratory managers, chromatographers, pharmaceutical sciences and pharmaceutical development leaders, laboratory technicians and NMR spectroscopists from pharmaceutical, fine chemistry, petro chemistry, forensics and food industries. The webinar is especially relevant for those working in development and quality control environments.